Being a guitar enthusiast, Charlie Kaman knew that a round soundhole puts undue stress on the top of the guitar, reducing its vibrating area and requiring additional bracing to keep the top from collapsing under 170 lbs of string traction. For this reason in the early Seventies he commissioned to his Kaman Aircraft team a redesign of the guitar top, using advanced technologies and materials – such as carbon fiber and graphite – that were the norm in aircraft construction. 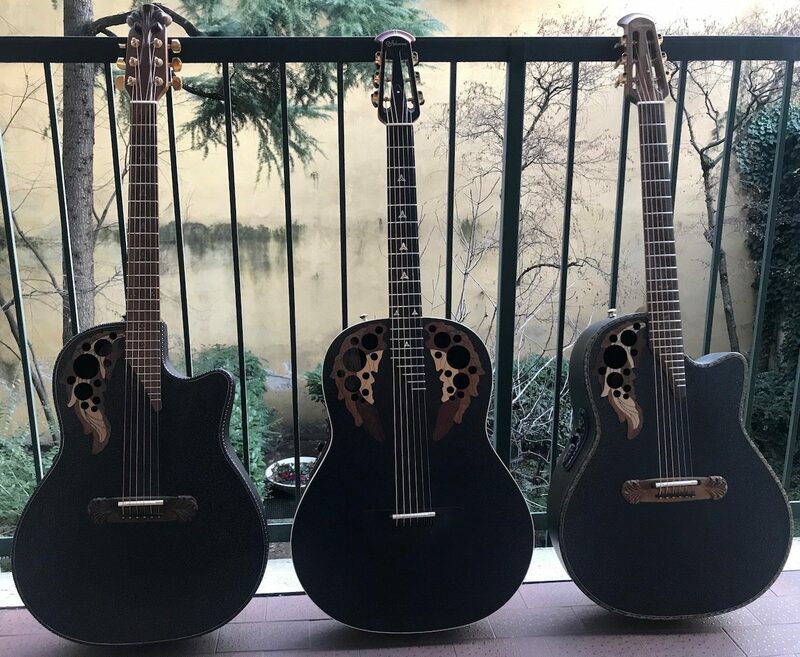 The new developed a sandwich of a thin layer of Birch between two layers of carbon graphite fiber, with multiple soundholes on the upper bouts and a new bracing that allowed better vibrations thus improving the sound. The composite top was expensive, but well worth the investment: the new top was as resonant as Spruce, but 1/3 in thickness, lighter in weight, stronger, impervious to changes in temperature and humidity and offered superior sound, both acoustically and electrically. 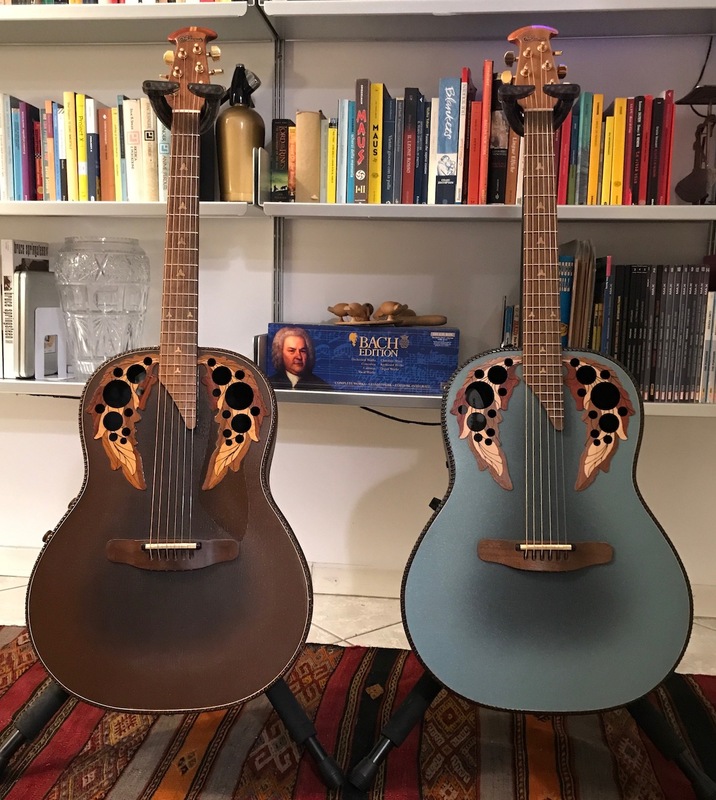 The new Ovation guitar was called Adamas, from ancient Greek “ἀδάμας”, “invincible, unconquerable”, the same root of “diamond”.